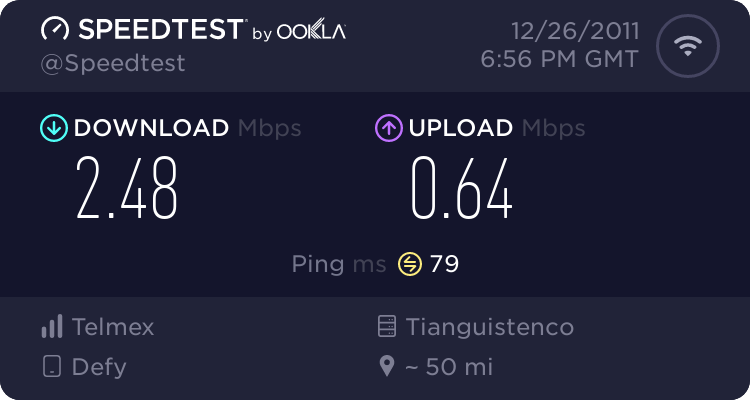 A detailed image for this result can be found here: http://www.speedtest.net/android/118849439.png Ookla operates Speedtest.net using a massive global infrastructure to minimize the impact of Internet congestion and latency. With millions of tests performed every day across hundreds of servers, Speedtest.net is the ultimate resource for bandwidth testing and related information. Visit it on your computer today to find out why.